Personlized by me. 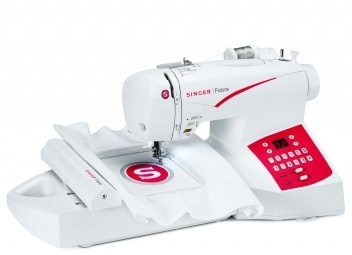 You can do it all with the SINGER® Futura™ SES 2000 Sewing & Embroidery machine. You can sew purses to pillows with ease, then use embroidery to add individuality to everything. The SINGER® FUTURA™ sewing & embroidery machine is powered by your PC, so you’ll have a whole world of designs and ideas at your fingertips.